The Model 642E is a compact, single-speed centrifuge designed to provide the ideal pre-analytic sample processing performance recommended by all collection tube manufacturers. 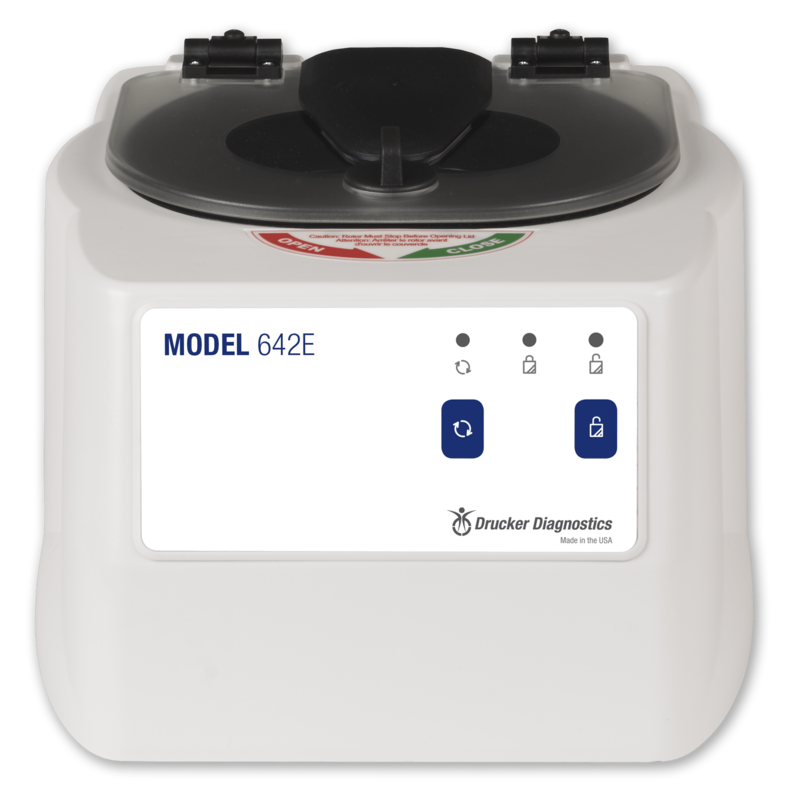 The Model 642B is Drucker’s most affordable horizontal centrifuge. The 642B maximizes bench space and sample integrity along with Drucker Diagnostics’ horizontal sample processing benefits. 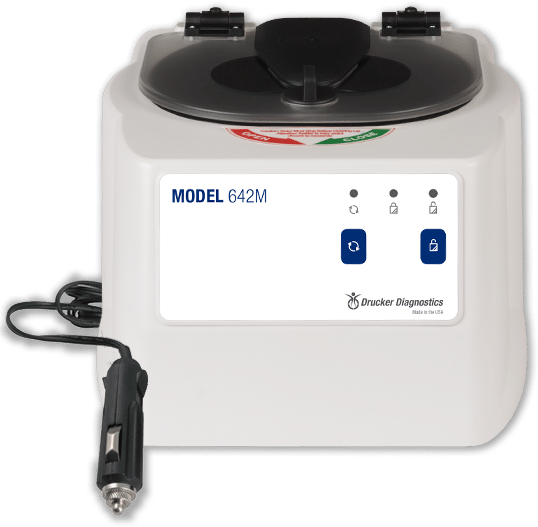 Powered directly from a vehicle’s 12V electrical supply, the Model 642M mobile centrifuge provides high quality, horizontal processing for mobile phlebotomists. Fixed-angle centrifuges, although less expensive, produce gel layers that may be susceptible to rupture during transport. These damaged samples cannot be used without an additional centrifugation step; yet, the CLSI recommends against re-centrifugation due to its known negative effects on analytical results. For better gel layer formation, please consider Horizontal Centrifugation with one of the 642 Models. The 642 Models utilize patented horizontal rotor technology to reduce blood processing times by 33% while guaranteeing reproducibility, regardless of location. 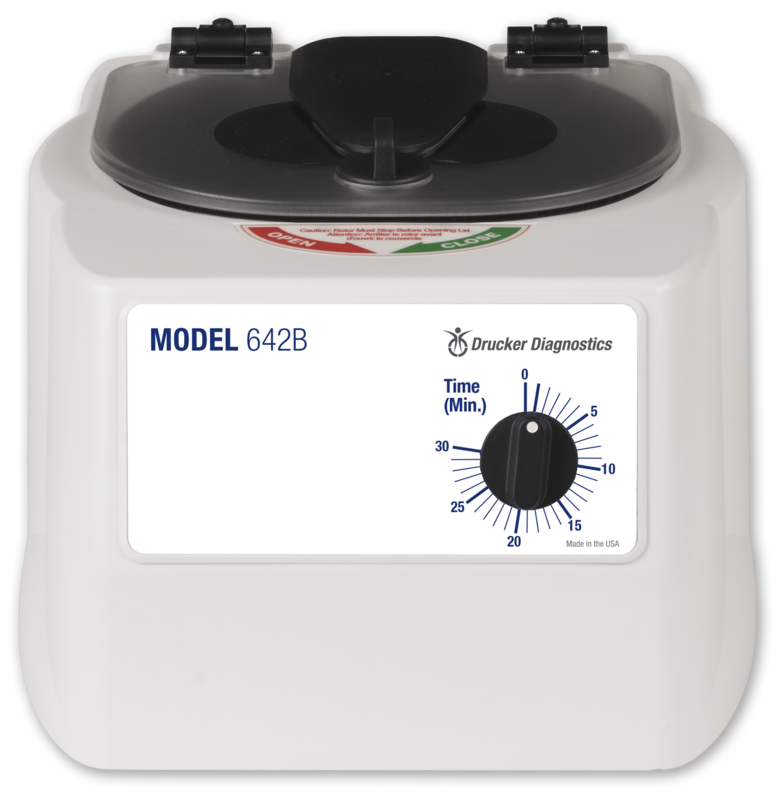 The Model 614B is Drucker’s most affordable fixed-angle centrifuge. Using advanced engineering materials, along with an advanced cooling system, the 614B provides high-quality fixed-angle separations for the physician’s office or small lab.